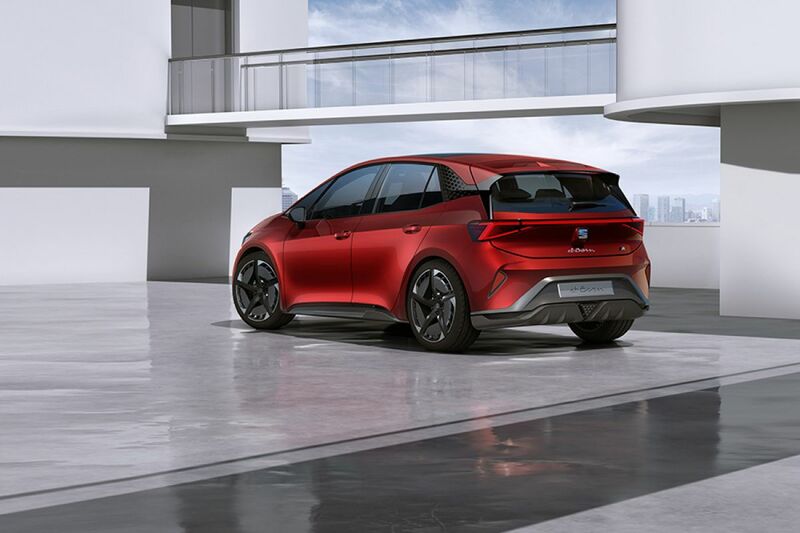 Seat presents at the International Motor Show in Geneva its concept car el-Born, designed and developed in Barcelona, but which will be manufactured in Zwickau/Germany. It is based on the MEB platform of the Volkswagen Group, anticipating what will soon be the group&apos;s modern electric cars with excellent performances. SEAT el-Born is the first 100% electric vehicle based on the Volkswagen Group MEB platform. A concept car named after one of the most iconic neighborhood of Barcelona. 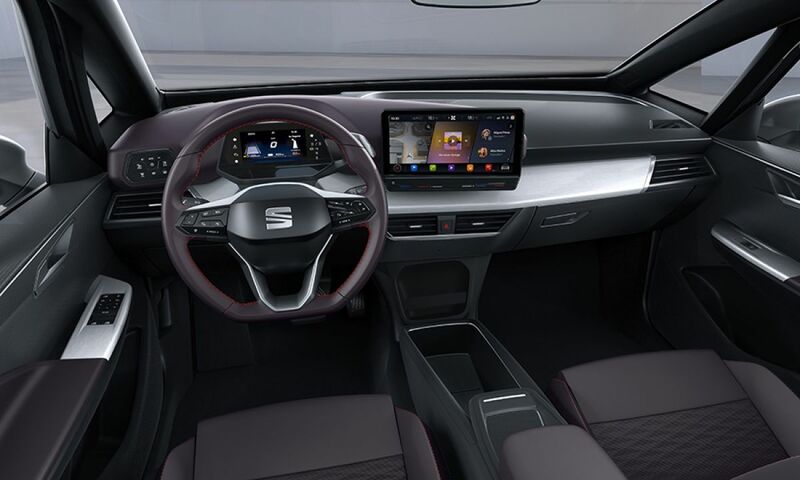 An inspiration for designers and engineers of SEAT who have created a sporty vehicle with the most advanced electric technology. 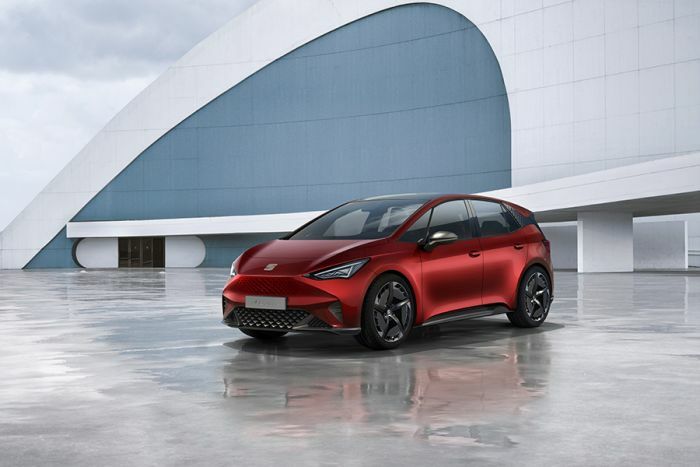 The vehicle is designed and developed in Barcelona and will be manufactured at the Zwickau plant in Germany; SEAT will be the second brand to introduce an all-electric vehicle based on the Volkswagen Group’s MEB platform. The car is expected to hit markets by 2020. With a power and energy dense battery pack at its very centre giving the SEAT el-Born a range of up to 420km on the WLTP official test cycle and the ability to reach 100km/h in only 7.5 seconds, the vehicle is as dynamic and practical as you are expecting it of a SEAT. Add to this the ability to recharge the battery in as little as 47 minutes and it starts to change the perceptions of electrification. The SEAT el-Born isn’t just about the promise of usable electrification, but the integration of other technologies too. The vehicle incorporates autonomous functionality to support the driver as well as a host of assistance systems. With a power output of up to 150kW (204PS) the vehicle can reach 100km/h in as little as 7.5 seconds – enough to meet the demands of any driving scenario. But that is only half the story. Electric vehicles aren’t solely judged on their performance, but also their ability to travel further on a single charge of their batteries and minimise the time taken to recharge once the stored energy has been depleted. A metric that the el-Born excels in. With a real world range of up to 420km based on the WLTP drive cycle from its 62kWh energy dense battery pack respectively, the vehicle is ready to travel wherever the customer needs to. And with compatibility with up to 100kW DC supercharging, the battery can be returned from 0 to 80% in as little as 47 minutes. The vehicle also integrates an advanced thermal management system to maximise vehicle range in the most extreme of environmental conditions. The vehicle’s heat pump can reduce the electrical heating consumption, saving up to 60km in autonomy – useful in countries where temperatures can drop and occupants need to use climate control systems. In my opinion, the company did not create specific electric cars maintaining the silhouette of conventional cars. The same thing happened in history, back in the 10&apos;s (1910) and previous years there was an attempt to "camouflage" the electric car under a conventional body of a gasoline car, that is, with a big nose - totally unnecessary. It was said at the time that the driver preferred not to differentiate. I think the situation today is different: a buyer of a 100% electric car would like to be to different. In those years, as the nose of the electric car was empty, they put the batteries in. That is, under the hood, instead of a bulky diesel engine with all its components, a battery pack.